The average price for this game in the past 6 months is $15.00. The game first became 50% off on Jul 6, 2017 at GameStop. Lowest historic price was $15 on Nov 15, 2018 at Microsoft. XCOM 2 for the Xbox One is back on sale at its historic low of $19.80. If you missed out on the Winter Sale pricing last holiday season (just like a 90% accuracy shot would in the game), this is your second chance and the discount no longer requires Live Gold membership. The average price for this game in the past 6 months is $18.75. The game first became 50% off on Sep 15, 2017 at Microsoft. Lowest historic price was $18.75 on Nov 15, 2018 at Microsoft. The average price for this game in the past 6 months is $30.96. The game first became 50% off on Nov 21, 2018 at GameStop. Lowest historic price was $29.88 on Nov 26, 2018 at Walmart. The average price for this game in the past 6 months is $16.00. The game first became 50% off on Feb 12, 2019 at Microsoft. Lowest historic price was $16 on Feb 12, 2019 at Microsoft. The average price for this game in the past 6 months is $16.63. The game first became 50% off on Mar 17, 2018 at Green Man Gaming. Lowest historic price was $15.60 on Jan 29, 2019 at Green Man Gaming. Cheap gets cheaper with XCOM 2 War of the Chosen now at another new historic low price of only $15.60. If you own XCOM 2 and want more gameplay, this is a great grab for more content. Base game is $11.70. Great price on the XCOM 2 War of the Chosen expansion at GMG, at its lowest ever price (you gotta love Black Friday), you can now enjoy even more content on one of the best squad and turn-based strategy title in recent years. Never tried XCOM 2? Base game is only $12. XCOM 2 War of the Chosen historic lowest price of $17 is available again, this time at GMG instead of Newegg. If you're a big XCOM 2 fan, this expansion is a must-have purchse as it adds new faction + hero classes and plenty more gameplay for only $17. If you still haven't tried XCOM 2 yet, the base game is on sale for $12.75 - also a historic low. Steam keys. New historic low price on XCOM 2: War of the Chosen from GMG as March Madness sale trucks on. At $18, this is a must-have for XCOM 2 owners who hasn't check out the well-reviewed expansion. Steam key. The average price for this game in the past 6 months is $33.41. The game first became 50% off on Feb 2, 2018 at WinGameStore. Lowest historic price was $24.99 on Oct 7, 2018 at WinGameStore. New historic low price on the XCOM 2 Collection for $25. The collection includes the base game, War of the Chosen and four DLC packs. If you never got around to picking up XCOM 2, this is a great bundle that nets you everything needed for the popular sequel. Everything XCOM 2 in one low price of $26.39. No point picking up War of the Chosen separately for $23 when this collection gets you the base game and four other DLC packs as well. Steam keys. The average price for this game in the past 6 months is $19.18. The game first became 50% off on Jul 18, 2016 at Green Man Gaming. Lowest historic price was $14.85 on Dec 18, 2018 at Green Man Gaming. New historic low price on XCOM 2 Digital Deluxe in this big weekend sale from GMG. Standard is also available for $15 - but we think the extra $4 for the additional content via the Reinforcement Pack may be worth the cost. Steam key. Nice price on XCOM 2 Digital Deluxe (with Season Pass) from GMG during their Lunar New Year sale. Standard is $24 - but for an extra $3 you might as well get the complete package. Price adjusted on XCOM 2 in GMG's Winter sale today making a new low on the digital deluxe. Deluxe includes the full base game, XCOM 2 Reinforcement Pack, and the digital soundtrack. If you're going to snag XCOM 2 this Black Friday GamersGate is having a flash sale on the Deluxe with a drop to only $25.20. Historic low by $2, but only for a few more hours. Funny enough GamersGate is charging $30 for the Standard Edition of XCOM 2 ($4.80 more). The average price for this game in the past 6 months is $12.36. The game first became 50% off on Jun 14, 2016 at FunStock Digital. Lowest historic price was $11.70 on Jan 29, 2019 at Green Man Gaming. For 24 hours only, you can pick up XCOM 2 for only $12.75 - a new historic low for the excellent squad based strategy game. We highly recommend this title at this price if you enjoy turn-based strategy with a dash of base building. 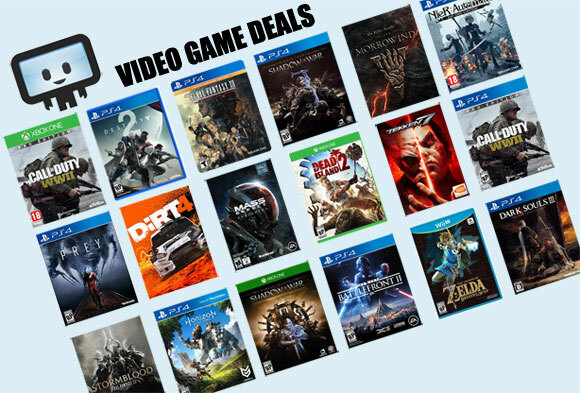 Includes a free game with every purchase. Missed the previous lowest price on XCOM 2 from GamesPlanet? Grab the game for only $13 and change at Fanatical. Good for 24 hours only. Gamesplanet has new historic low price on XCOM 2 Steam key, at only about $12.85 (after currency conversion). The key works in NA and is not region locked. Also on tap is digital deluxe and various DLC, but we think only Standard is worth picking up. A great title if you enjoy squad based and turn based RPG with a bit of base building on the side. Even cheaper than GamesPlanet, WinGameStore has XCOM 2 for only $14. This blows away all other pricing online for the game during Winter Sale. If you liked Enemy Unknown, you'll enjoy XCOM 2. 29% cheaper than Steam Store's pricing. Expires soon tonight. New historic low on XCOM 2 Steam key thanks to GamesPlanet's last hurrah Christmas Sale (ends tomorrow afternoon). At $15 this beats out the price at all other digital retailers during their respective Winter Sale. Steam Store is $19.79.